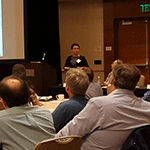 See you all next year in Denver! 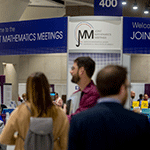 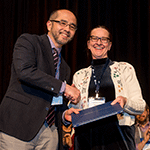 The American Mathematical Society (AMS) and the Mathematical Association of America (MAA) invite you to join them at the next JMM, where record-breaking attendance is expected again! 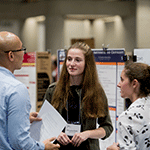 The JMM will again host sessions by the Association for Symbolic Logic (ASL), the Association for Women in Mathematics (AWM), the National Association for Mathematicians (NAM), and the Society for Industrial and Applied Mathematics (SIAM). 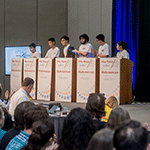 the "Who Wants to Be a Mathematician Game" and Math Wrangle Competitions, showcasing the brilliance of some of the nation's best high school math students.